The late folksinger and social activist Pete Seeger (1919-2014) sounded many alarms, but a recent article in the New York Times Magazine struck a different but somewhat similar chord: the declining population of insects worldwide. Brooke Jarvis's piece on "The Insect Apocalypse Is Here," published Nov. 27, should be required reading. Basically: Where have all the insects gone? What does it mean? Why haven't we noticed? And what are we going to do about it? Well, butterfly guru/entomologist Art Shapiro, distinguished emeritus professor of evolution and ecology at the University of California, Davis, has noticed. 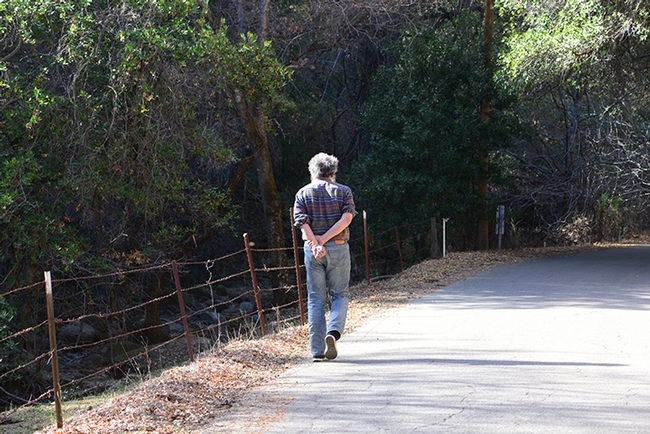 Shapiro has monitored butterfly population trends on a transect across central California for 46 years and maintains a research website at http://butterfly.ucdavis.edu/. The 10 sites stretch from the Sacramento River Delta through the Sacramento Valley and Sierra Nevada mountains to the high desert of the Western Great Basin. Shapiro visits his sites every two weeks "to record what's out" from spring to fall. 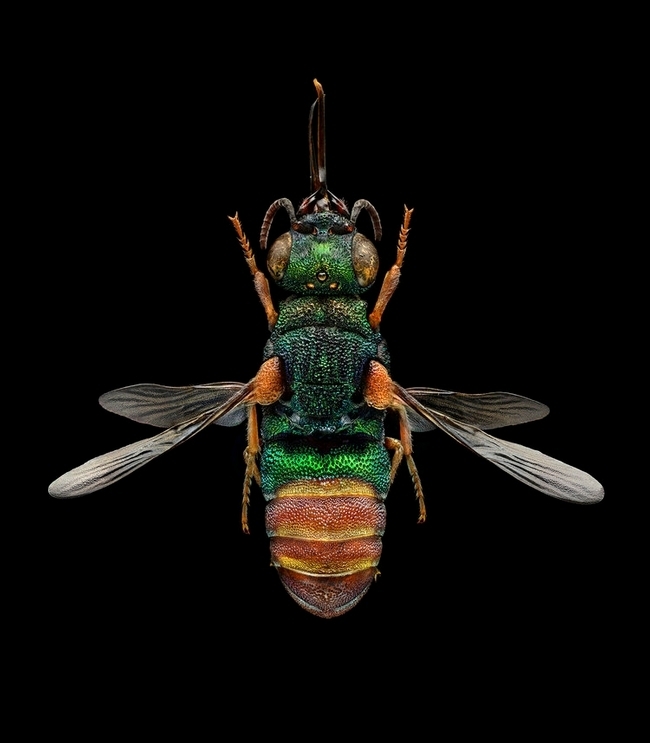 The largest and oldest database in North America, it was recently cited by British conservation biologist Chris Thomas in a worldwide study of insect biomass. 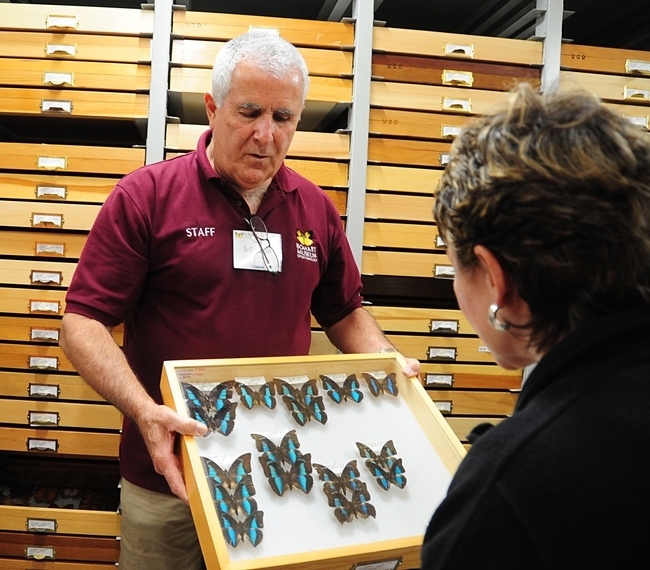 Shapiro, a member of the UC Davis faculty since 1971 and author of the book, Field Guide to Butterflies of the San Francisco Bay Area and Sacramento Valley Regions, has studied a total of 163 species of butterflies in his transect. In his May 26, 2018 address at the second annual Butterfly Summit at Annie's Annuals and Perennials, Richmond, he commented that "in a nutshell, at low elevations, butterfly faunas have been declining slowly until 1999. 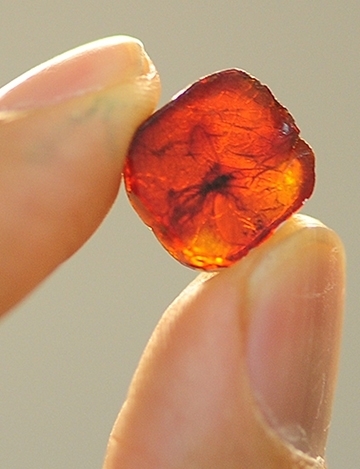 In 1999, 17 species had an abrupt fall in abundance, spontaneously. On its face, this was a non-random event. The decline was then rapid from 1999 to the onset of the recent drought and then things went up again." Shapiro also addressed climate change in a Sept. 6, 2018 interview with Capital Public Radio. That entomologist was Art Shapiro. Pesticides, loss of habitat, diseases, climate change, and human encroachment--and more--are some of the reasons why our global population of insects is dwindling. 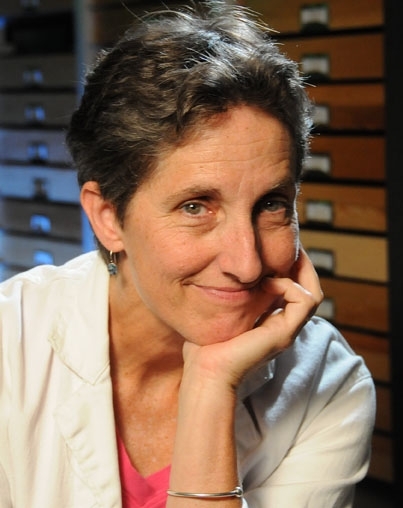 Shapiro, who engaged in a 90-minute conversation with author Jarvis (and suggested topics and interviews for the piece), is quoted as having one of the few long-term data sets about insect abundance in the United States. 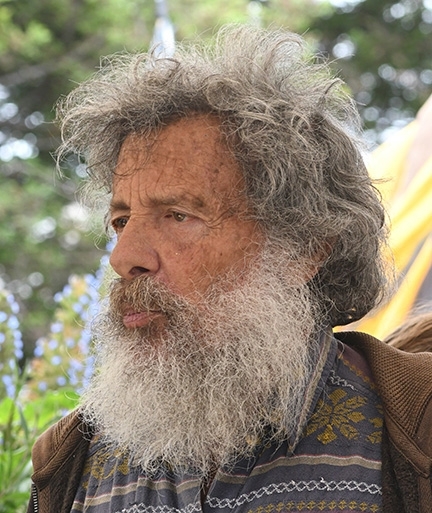 "In 1972, he began walking transects in the Central Valley and the Sierras, counting butterflies," Jarvis wrote. 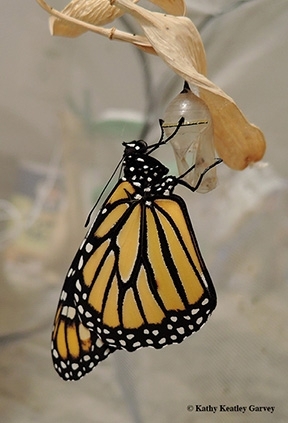 "He planned to do a study on how short-term weather variations affected butterfly populations. But the longer he sampled, the more valuable his data became, offering a signal through the noise of seasonal ups and downs. 'And so here I am in Year 46,' he said, nearly half a century of spending five days a week, from late spring to the end of autumn, observing butterflies. In that time he has watched overall numbers decline and seen some species that used to be everywhere — even species that 'everyone regarded as a junk species' only a few decades ago — all but disappear. Shapiro believes that Krefeld-level declines are likely to be happening all over the globe. 'But, of course, I don't cover the entire globe,' he added. 'I cover I-80.'" Why should we care? As Jarvis succinctly points out: "Insects are the vital pollinators and recyclers of ecosystems and the base of food webs everywhere." Now the concern should not only be "Where have all the insects gone?" but "What are we going to do about it?" 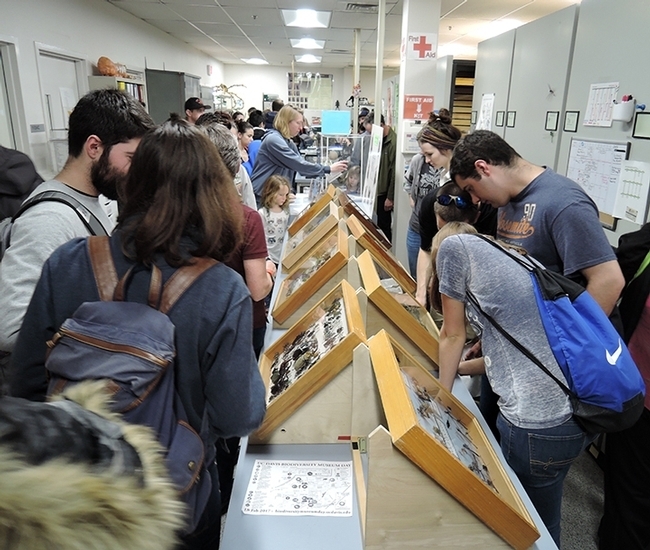 The Bohart Museum of Entomology at the University of California, Davis, rocks! 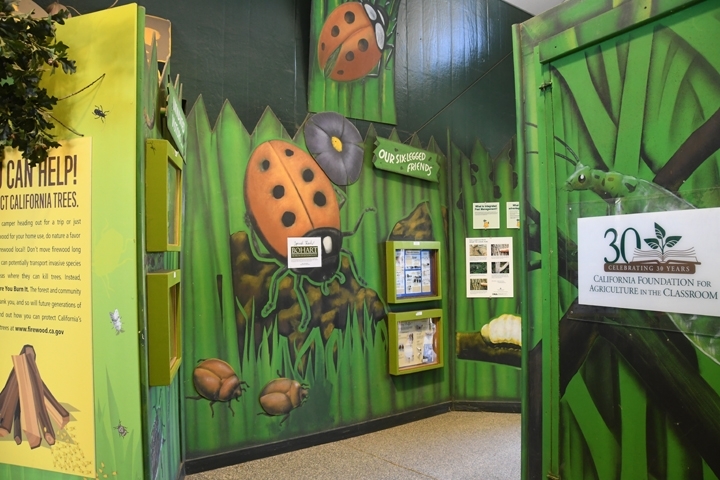 Directed by Lynn Kimsey, UC Davis professor of entomology, the insect museum is named for noted entomologist Richard M. Bohart. No, it's not "just because" of all those attributes, accolades and accomplishments. 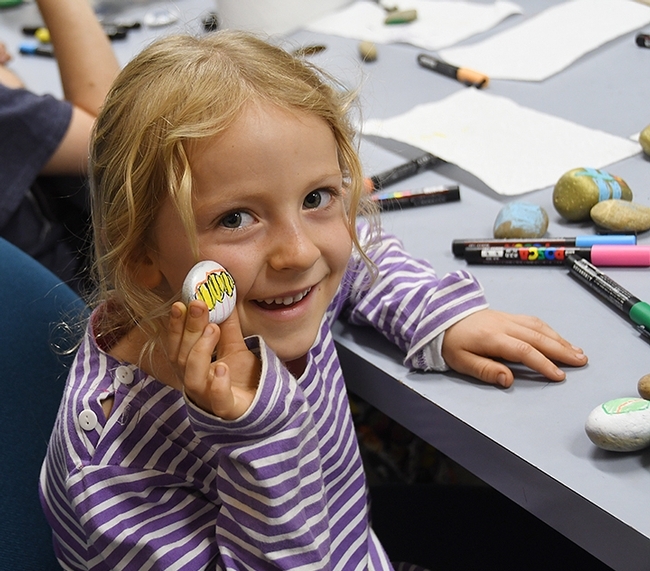 Last Saturday, as part of its open house, Bohart Museum officials invited the guests to paint rocks. 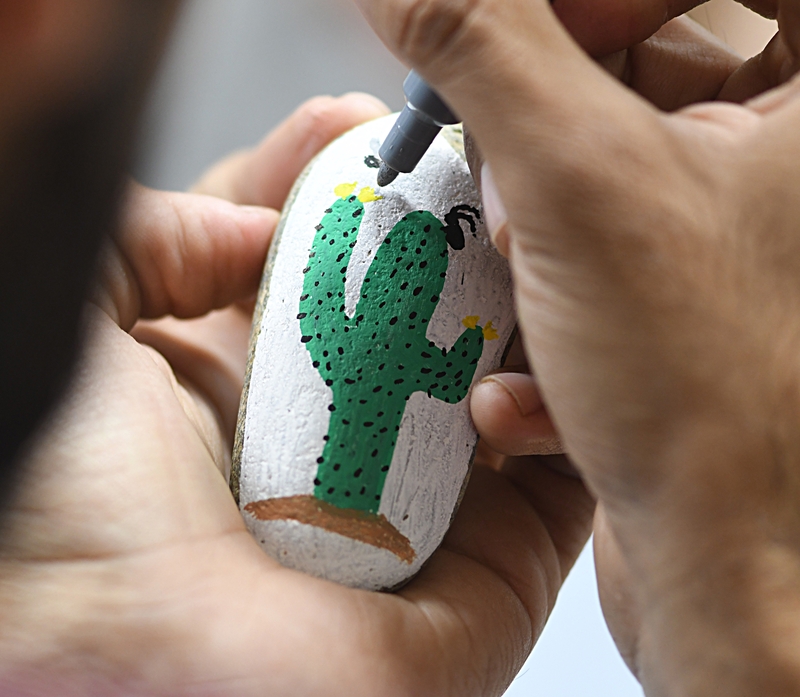 "Paint a Rock!" a sign read. 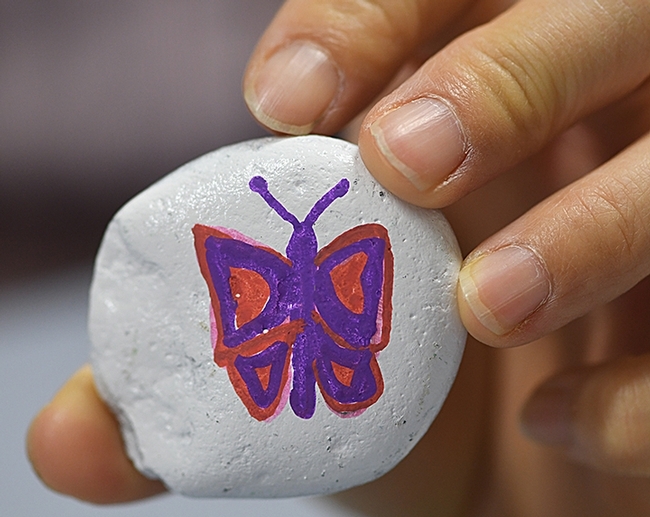 "Paint a rock with your favorite insect! 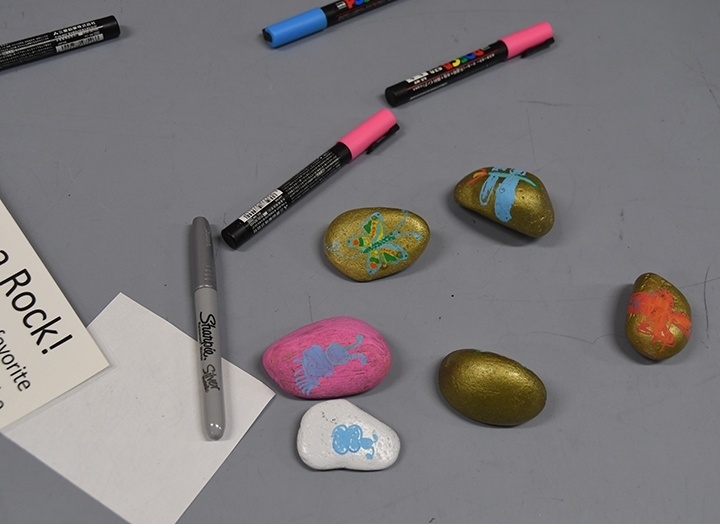 These rocks can join the #UCDavisRocks that are hidden around campus and downtown. Once found, these rocks can then be re-hidden as a happy surprise for others to discover. 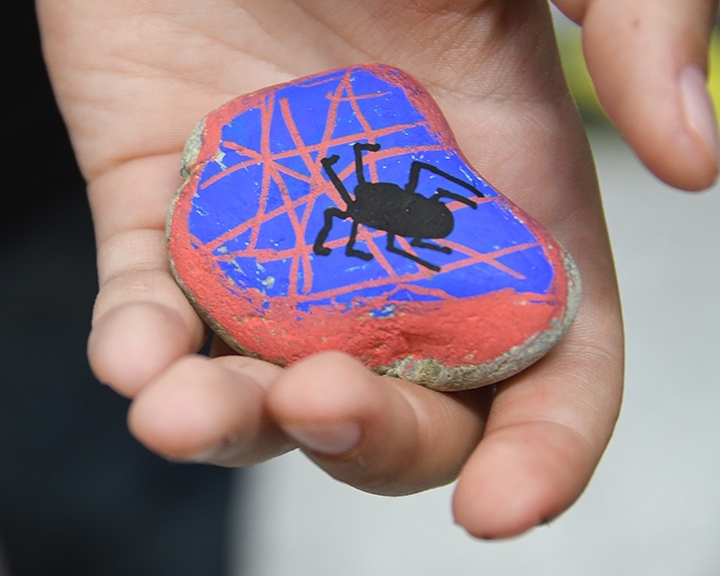 Pictures of your #UCDavisRocks can be shared on the UC Davis Rocks Facebook page." The Bohart Museum officials drew inspiration from Yolo Rocks and Solano Rocks, but a similar organization on campus, UC Davis Rocks, launched a related activity last spring. 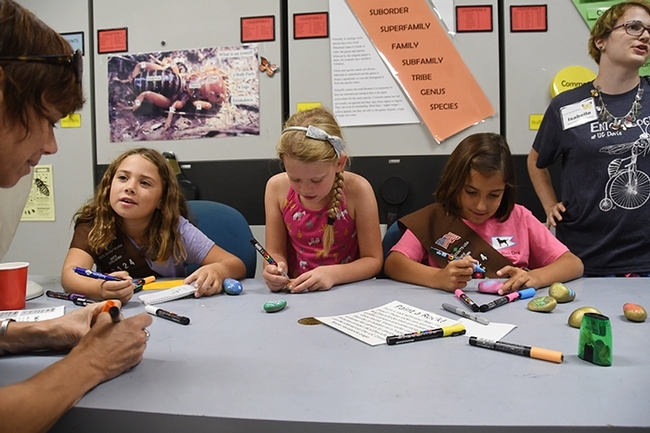 It is the brainchild of Kim Pearson and Martha Garrison of the College of Letters and Science. 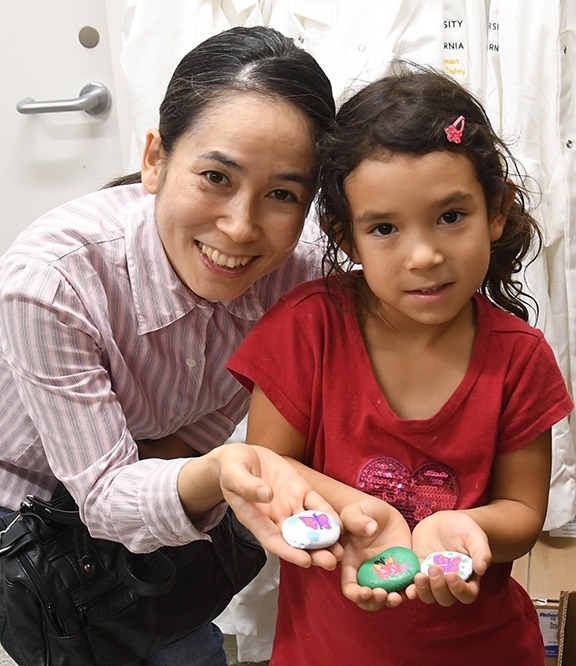 At the open house, it was a joy to watch families, friends, students, pre-schoolers and senior citizens join in the fun. Some painted butterflies; some opted for caterpillars; some chose dragonflies; some selected ants and lady bugs (lady beetles); and some ventured into the world wide web of spiders, just in time for Halloween. 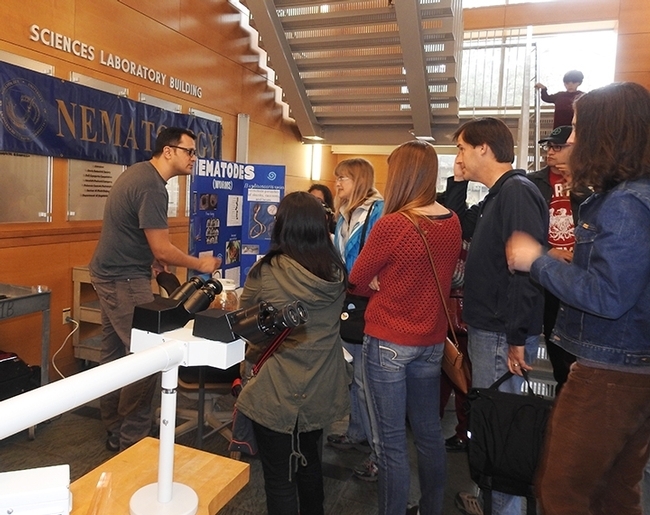 Tabatha Yang, education and outreach coordinator, coordinated the open house. 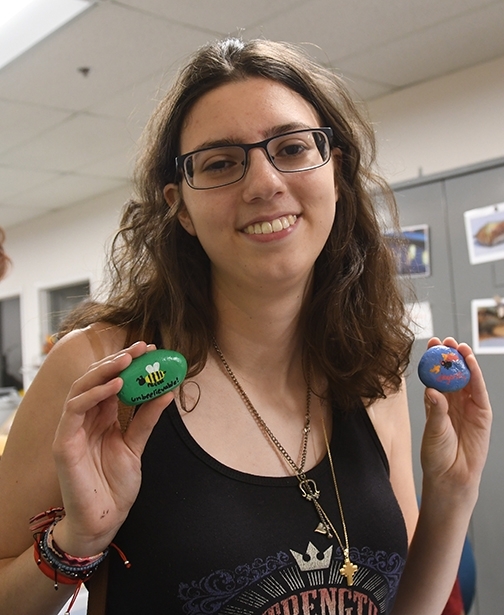 UC Davis student Isabelle Gilchrist, a second-year entomology major, staffed the crafts activity table, offering rocks, paint and suggestions. 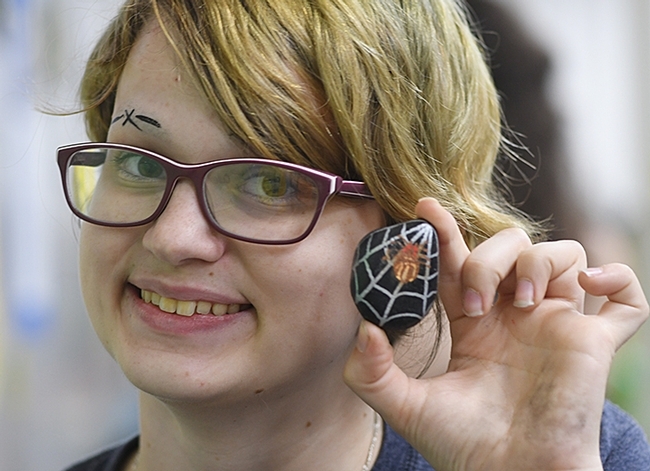 The theme of the open house, “Crafty Insects,” spotlighted crafty or sneaky insects (more photos of that in another blog), but a huge part of this open house starred rocks. 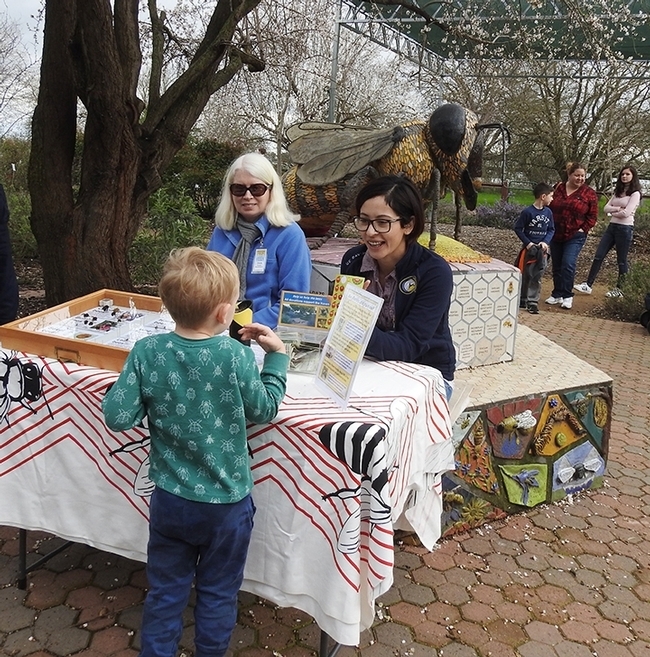 Just like Donna Billick, the self-described "rock artist" who sculpted the ceramic-mosaic worker bee, "Miss Bee Haven," in the Department of Entomology and Nematology's Häagen-Dazs Honey Bee Haven on Bee Biology Road, the Bohart artists rocked. The Insect Pavilion at the California State Fair, which includes specimens from the Bohart Museum of Entomology at the University of California, Davis, showcases the good, the bad and the bugly. 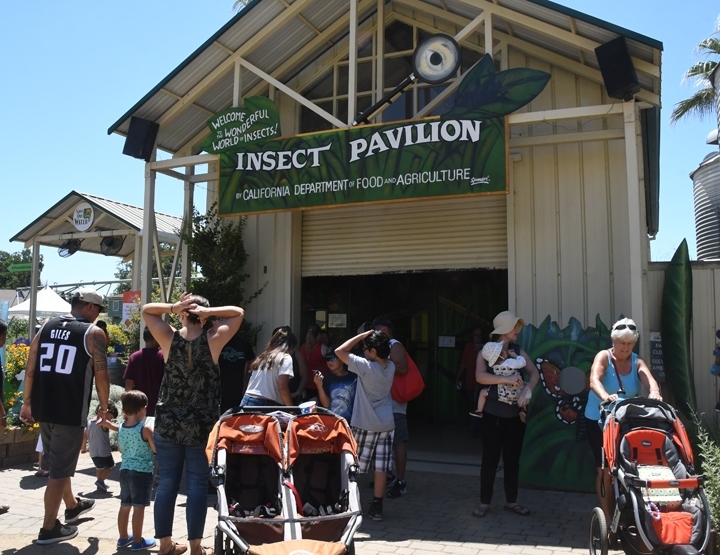 The fair opened Friday, July 13 and continues through Sunday, July 29. 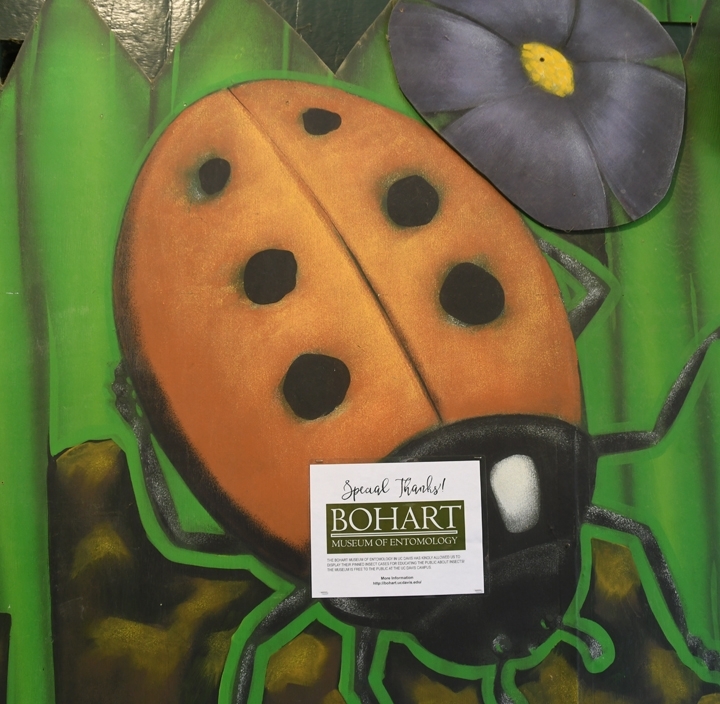 You'll see beneficial insects, such as honey bees and lady beetles (aka lady bugs) and pests that ravage our crops. "Danger lurks in a backyard garden," a sign informs visitors. "Aphids, cutworms, mealybugs and other pests are preying on your vegetables and flowers. Who's a gardener to turn to for help? Bring in the reinforcements and enlist the aid of Beneficial Bugs that will crusade against the Invasive Species and help keep your pest outbreaks under control. Native plants naturally attract these Beneficial Bugs, equipping your garden with its own pest managers. Low costs and low water--It's a win/win!" Madagascar hissing cockroaches from the Bohart draw "oohs" and "yecchs." 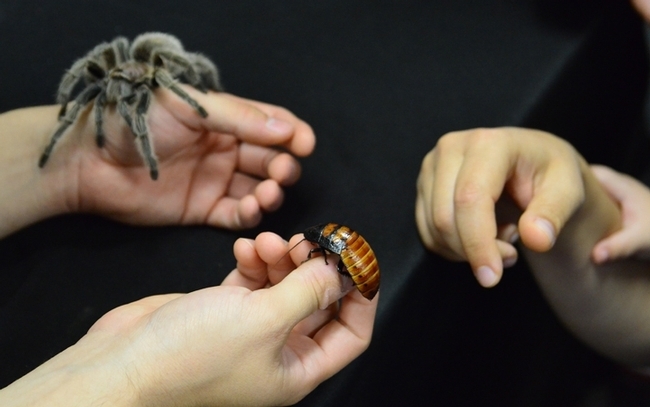 Visitors learn that "these cockroaches inhabit Madagascar, a large island off southeastern Africa. They speed up plant decomposition in their native environment, providing an important ecological service. 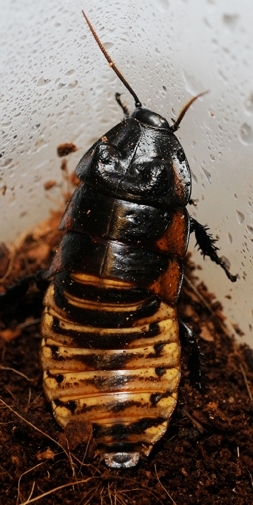 When provoked, Madagascar hissing cockroaches hiss through their spiracles, the tiny tubes through which insects breathe. Spiracles are visible on adults as tiny black dots on the edges of their bodies." 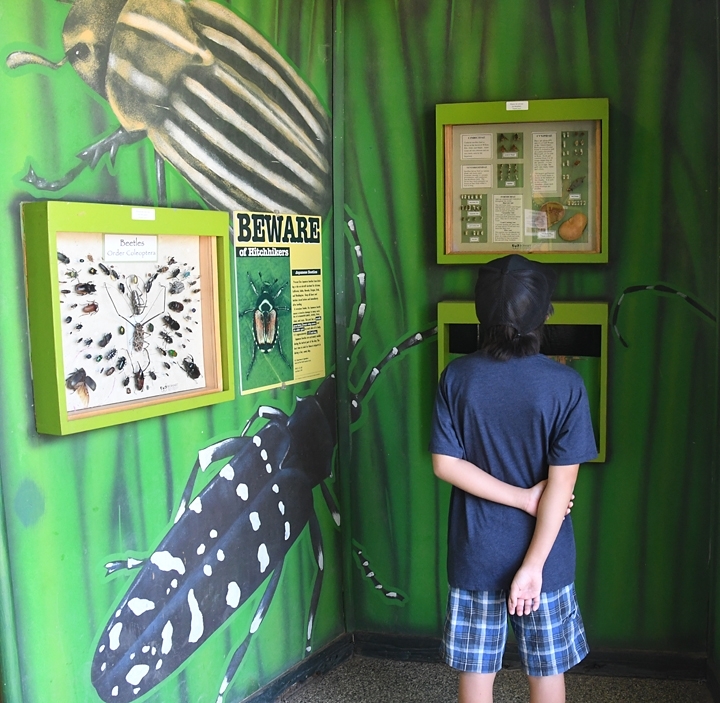 Another sign meant to engage visitors reads: "If you were a bug, which would you be?" 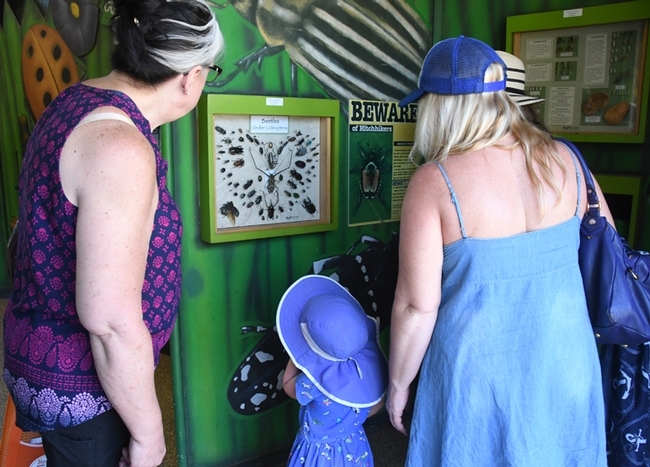 You'll see images of everything from a butterfly to a dragonfly, from a honey bee and lady bug, and from an assassin bug to a praying mantis, not to mention a grasshopper, cockroach, ant, and spider. 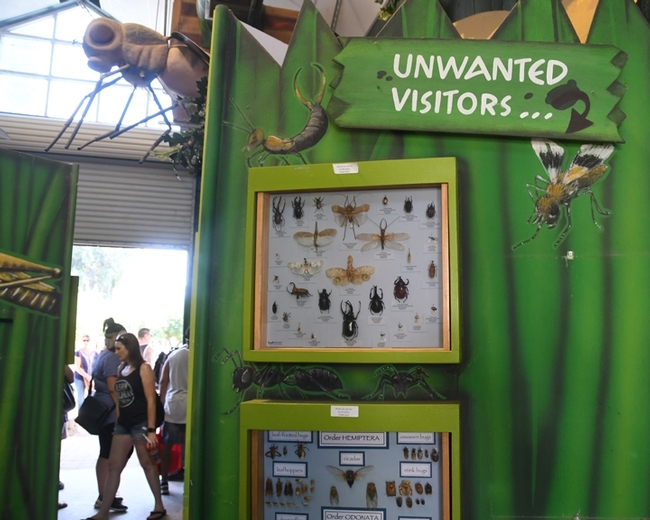 One teenage girl poked her head through the Bug Barn door, glanced at the displays, and dashed off, proclaiming "Bugs give me the creeps!" A middle-aged woman declared to all present: "I hate, hate bugs!" 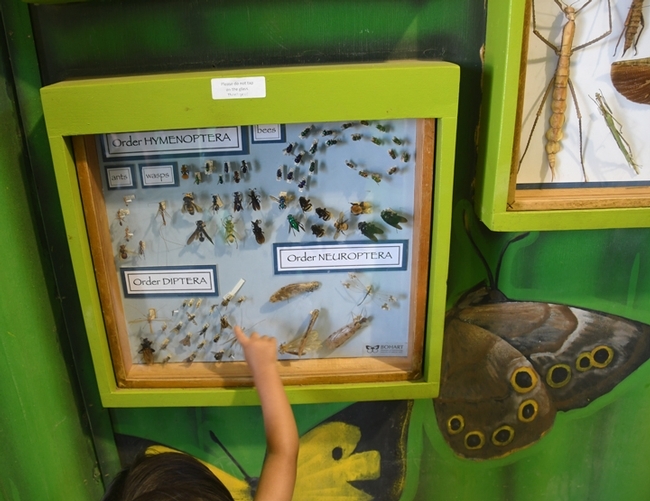 A preschooler pointed to the butterflies. "Pretty, Mommy, pretty!" A toddler left the Bug Barn waving at the honey bees. "Bye, bye, bees!" he said. "Crafty Insects" from 1 to 4 p.m., Saturday, Sept. 22. "For the Aug. 19 open house, we will be exploring extreme insects from the deserts and the mountains of California," said Tabatha Yang, the Bohart Museum's education and outreach coordinator. "For Sept. 22 we will be having a two-way museum. 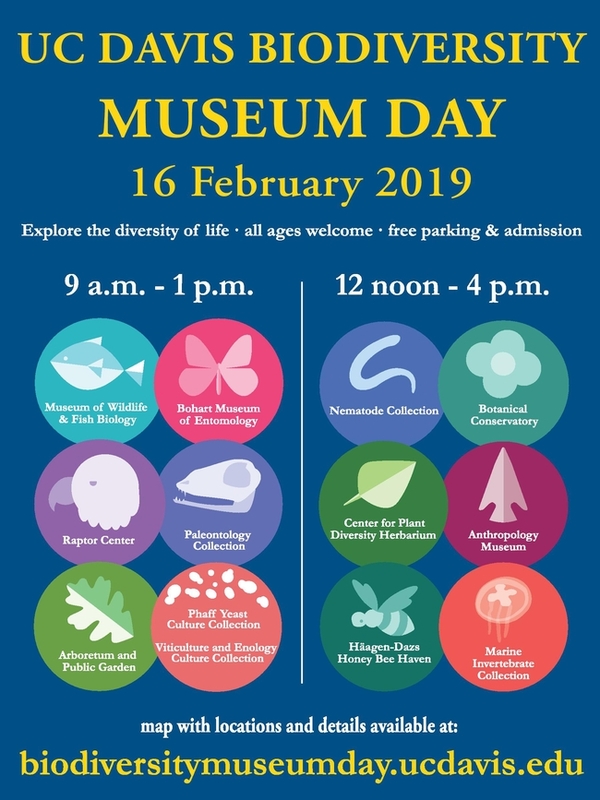 We will be displaying crafty--think cunning--insects and we are going to ask people to bring insect crafts that they have made, so all those felted, knitted, carved, and sculpted crafts are welcome. Any and all hand-made, flea-shaped tea cozies are welcomed!" The Bohart Museum, directed by Lynn Kimsey, professor of entomology at UC Davis, houses some eight million insect specimens, plus a live "petting zoo" (Madagascar hissing cockroaches, walking sticks, tarantulas and praying mantids) and a year-around gift shop.